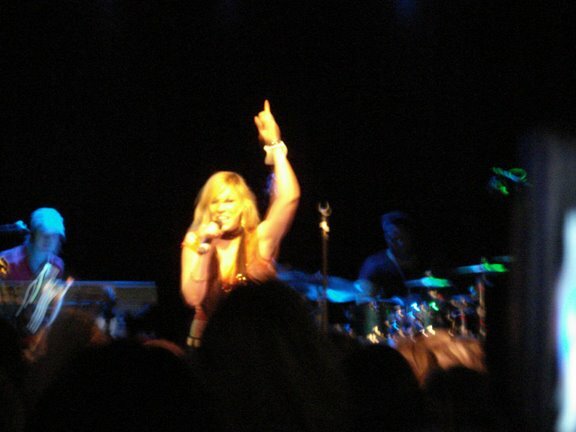 This past Saturday night I had a chance to see Natasha Bedingfield live. She did a show at the Fine Line Music Cafe in downtown Minneapolis. The Fine Line is a very nice, intimate live music club. I saw Marc Broussard there last year. Natasha put on a GREAT show! She really is a true recording artist. I had enjoyed both of her CD’s, so I was very curious to see how she did live. I am happy to report that she is a real performer. She had a live band that included guitar, keys, drums, bass and 2 back up singers. They really worked well together. The show was paced very well. Natasha did a mix of songs from her new CD as well as some album cuts and of course all of her hit singles. This show was in a small venue, so there were really no bad seats and Natasha even commented how cool the location was. You could tell she enjoyed performing, and the crowd went crazy when she did her hit songs. It was a ton of fun!! If you get a chance to see Natasha live…DO IT!!!!!!!! !